Sophomore Maramawit Bereda said she took this class because she was curious about how religion and hip-hop could work together. Through the class, she said she has been able to understand hip-hop a little more like what exactly it is and why it has so much history. Are You Gift Wrapped For Jesus? My wife and I were walking through the mall looking for Christmas gifts as I observed the crowd of shoppers. Everyone was so busy and excited about purchasing gifts for family and friends. It made me think for a moment about what is the gift I’m giving to Jesus? I thought about the greatest gift I can give to Jesus is my life. Jesus wants a totally surrendered life. You will find in Romans 12:1 (AMP) where it states “I appeal to you therefore, brethren, and beg of you in view of [all] the mercies to make a decisive dedication of your bodies [presenting all your members and faculties] as a living sacrifice, holy (devoted, consecrated) and well pleasing to God, which is your reasonable (rational, intelligent) service and spiritual worship.” God wants daily access to us to be used as His instruments on earth to accomplish His work. When we give our lives to God we are allowing Him total access 24/7 to our minds, bodies, and souls to be used as He sees fit. I would like to ask if you are you gift wrapped for Jesus this year? Do you wear the garment of praise when you enter the House of the Lord? Do you wear the armor of God outside of the church to protect you against the wiles of the devil? Just mediate on your answers for a moment. 1. Discussing the birth of Jesus and explaining why we celebrate Christmas. 2. Giving meaning to our actions for decorating our homes and giving gifts. 4. Looking for opportunities in the community to give our time to volunteer. 5. Making time to watch Christmas television programs with the family. 6. Playing Christmas CDs in our home to create an atmosphere of the holidays. Jesus welcomes our little gifts and gestures because he recognizes them as signs that His joy has touched us. Jesus wants YOU! It is not something that is tangible but intangible. When we received Jesus in our hearts, we received God’s greatest gift that keeps giving and giving and giving all year. We should stay gift wrapped for Jesus to be used anytime and anywhere patiently waiting for Him to unwrap us for His service. Let Jesus unwrap your talent, creativity, and vision for His Glory. Today, decide if you are not a Christian to give yourself as a gift to Jesus this Christmas. If you are a Christian keep yourself wrapped as a gift for Jesus to use. November 9, 2018 - Atlanta/Nashville - Powerful Street Minister of The Gospel ("Brotha Dre"), powered by 3HMobile, Capitol Christian Music Group (CCMG), a division of Capitol Music Group and wholly-owned subsidiary of Universal Music Group, released today a hot new Holy Hip Hop/Street Gospel Anthem track titled: Chosen, with the catchy hook 'What It's Like To Be Chosen'. This song is a must have for any music collection and can be related to by anyone who has experienced and truly felt the Power of GOD work in their life. The King of Gospel Music, Reverend James Cleveland, was riffing, the way only a preacher can, prepping the congregation for the Queen of Soul, Ms. Aretha Franklin. This was January 13, 1972, in the New Temple Missionary Baptist Church in the Watts neighborhood of Los Angeles. And while everyone in the room was familiar with Aretha Franklin, Reverend Cleveland knew that not everyone had heard her sing gospel or witnessed her sing in a church. “You’re in tonight for a great thrill,” Cleveland said to the first-timers. The house was packed because Aretha was not only recording the album that would become Amazing Grace, the highest-selling album of her career and the highest-selling live gospel album of all time, but it was also being filmed by director Sydney Pollack, for what is a still-unreleased concert documentary. Mick Jagger was there. Gospel legend Clara Ward was there. So was Reverend Cleveland’s choir, the Southern California Community Choir. And after Cleveland sang one number with his choir, Aretha, in her flowy gown and perfect revolutionary afro, entered the chapel. On that night, and the night that followed, Aretha Franklin gave what may be the greatest sustained vocal performance, ever. At this point in her career, Aretha was already a legend. A year before Amazing Grace, she’d released a greatest-hits album and won her fourth of eight consecutive Grammys for Best Female R&B Vocal Performance. One could argue that while she had a great deal more to achieve, she didn’t have much more to prove. And maybe to an average superstar this would be true, but we’re talking Aretha Franklin, lest we forget. And on those two days, she reminded everyone that while she may have had contemporaries, she had no peers. Sure, Aretha was not the first to grow up in the church and take a booming voice to the mainstream, gaining worldwide fame from secular music. But on these two days, she came back to the black church. And it wasn’t just a sweet reminder that she hadn’t lost a step. She was here for her playground respect, ready to send a warning shot to any that had doubted her—she had gotten stronger. Amazing Grace is Aretha, at her most raw and stripped down, resulting in Aretha at her most powerful. Carole King wasn’t talking about Jesus. But Aretha was. And just like that, “You’ve Got a Friend” was a gospel song. Throughout Amazing Grace she vacillated between hymns, mid-tempo numbers like “Climbing Higher Mountains,” a quasi-sermon on “Mary, Don’t You Weep,” and up-tempo numbers like “Old Landmark” and “How I Got Over” that caused dancing to spill out from the pews and into the aisles. 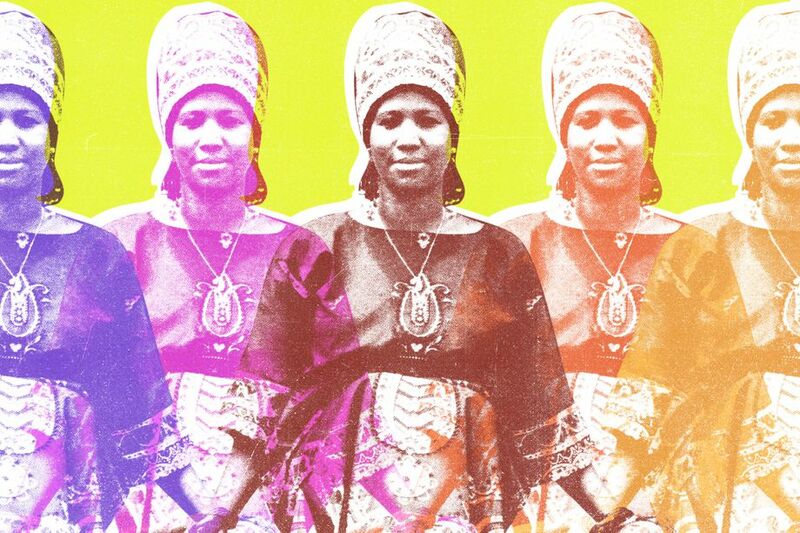 Technically, Amazing Grace is art at its highest form, the work of a bona fide musical genius at her peak. And for me, somehow, that’s not even its most impressive (or important) attribute. For as long as I can remember hearing these songs—the album, a lifelong soundtrack to growing up around the black Baptist church—there’s been a moment, on each song, that Aretha does something that makes me believe in God. More than any sermon, any text, or any life moment, it’s Aretha that keeps me a believer, in something. On Amazing Grace, the belief that Aretha exudes about her God is all the convincing I need that she’s right. And it’s not any specific word or phrase she says; it’s that she feels so much—it makes you want to go through it with her, and feel that, too.